We are a leading Manufacturer of bopp adhesive tapes from Ahmedabad, India. BOPP Self Adhesive Tapes, which are manufactured by cutting edge technology, utilizing the supreme quality raw material, which is procured from our reliable vendors. 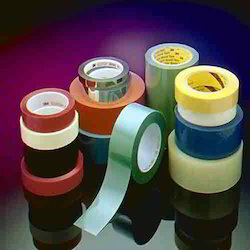 As per the demands and specifications are given by our valued clients, this unmatched range of Tapes is customized if needed.